Welcome to a new series about Clash Royale, going over the most meta deck of each week! In Clash Royale, the meta is constantly changing and in week 1 of this new series, we are seeing elite barbarians, ice golem, and hog over and over again. So today, I have the seemingly OP EB-hog-IG deck to share with you guys! First off, let me go ahead and show you guys this current meta deck within Clash Royale. Here’s a quick screenshot of what the deck consists of, along with average elixir cost. With the average elixir cost at 3.3, this deck is very cheap and is fundamentally a hog cycle deck. With cards like the ice golem and ice spirit, you can cycle back to your cards pretty quickly. 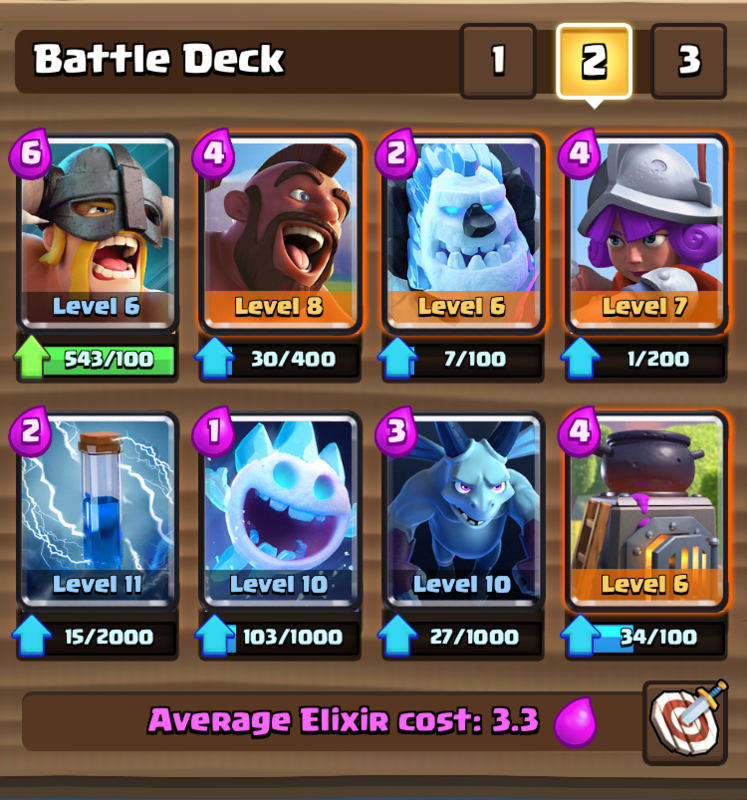 Within this meta deck, you have many defensive cards (elite barbs, musketeer, ice spirits, and minions) along with multiple offensive options (hog, ice golem + musketeer/minions, elite barbarians) which makes it versatile and above all deadly. The furnace also provides a steady stream of chip damage along with backup to your big pushes. 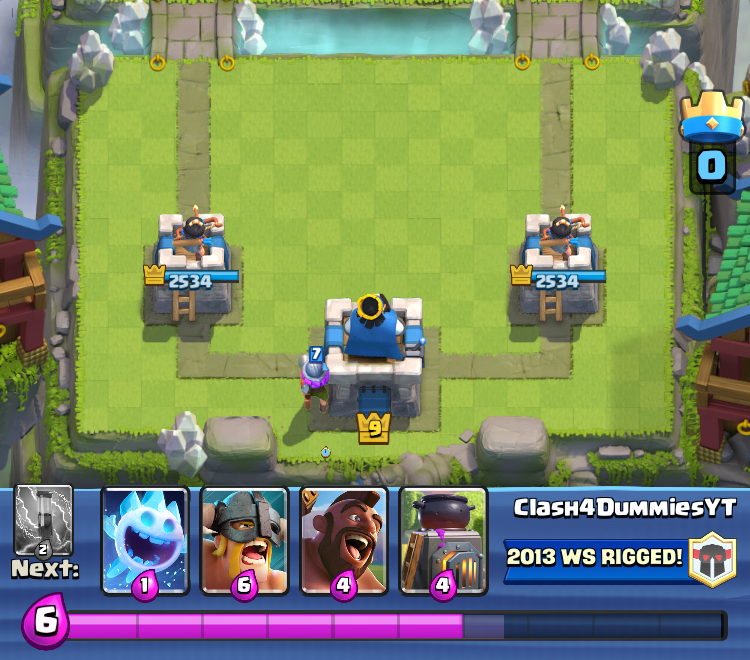 The first play of the game is extremely important within Clash Royale. With this deck, as with any deck, the first play could very well decide the fate of this battle. 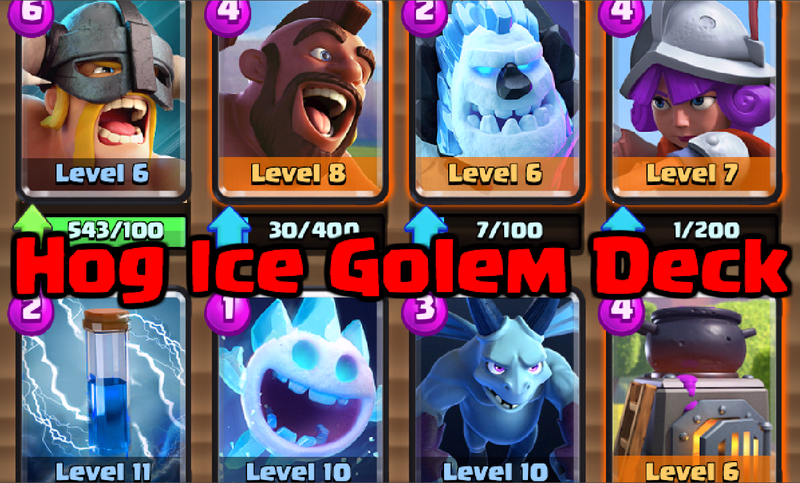 Here’s how you should start off a game using this hog-elite barbarians-ice golem deck! The play I often like the make in any deck, regardless of what the deck consists of, is to play a tanky, 3-5 elixir card in the back behind the king’s tower. This way, if your opponent pushes you, you will have some elixir to defend, along with having a full health unit making its way toward his or her side of the map. In this deck, the card to place would be the musketeer since it fits all the categories. You will have some opportunity to push, but still be able to defend if your opponent decides to push you hard. Another great starting play to make is to place a spawner (usually the tombstone or furnace) in the middle of your side. This ensures that you begin to have a steady stream of units heading into the other side, along with being able to pull offensive units from a quick starting push. From this furnace, you can begin to build a huge push with support from splash fire spirits in the back that will easily kill the minion horde or any goblins. What is a deck without a prime pushing strategy? This elite barbarian-hog rider-ice golem deck DEFINITELY has a best push within it, a push that is supposed to win you the game. The push? 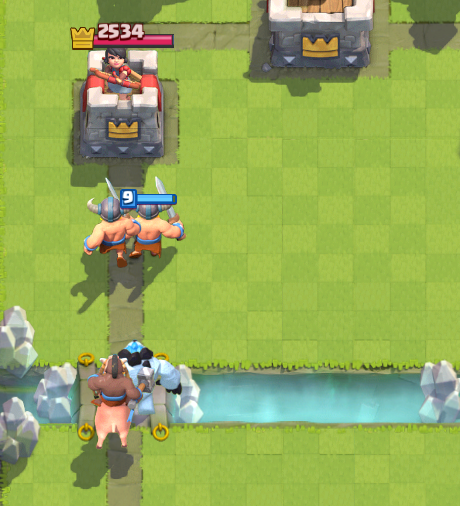 Ice golem in front, followed up by a hog behind! All of these reasons make it a very, very, effective pushing combo. However, combined with the elite barbarians, this push becomes nearly unstoppable. The elite barbarians should clear a path by clearing any units placed down to counter your push along with providing protection from those units targeting the hog. Secondly, if those elite barbs make it to the tower, the tower will suffer hundreds, if not thousands of hitpoints! In order for a deck to be successful, you must be able to play good defense! Here are 4 of the most popular offensive combs in Clash Royale right now and how you can defend against them gaining a positive elixir trade. Best counter for this is just a pure shutdown. To get that shutdown, you’ve got to drop your EBs on the ice golem first, even though it means the slowing effect. They will then proceed to destroy the hog, with the hog getting at most one shot on your tower. 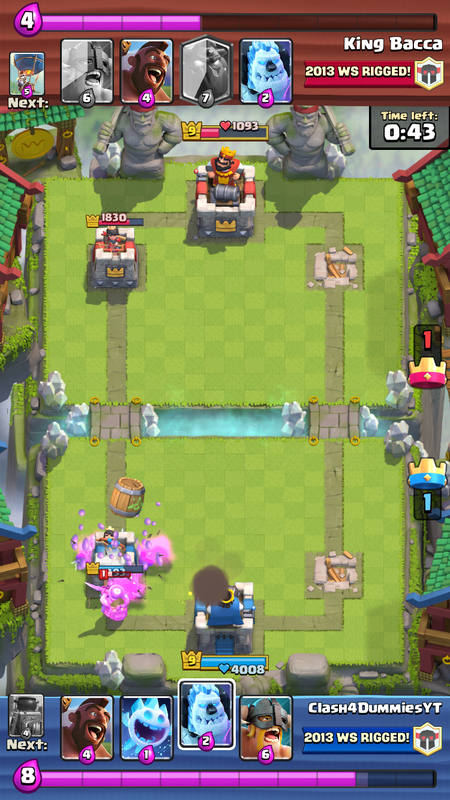 In recent days, this strategy has really became popular because the mirrored goblin barrel usually can’t be killed by zap. 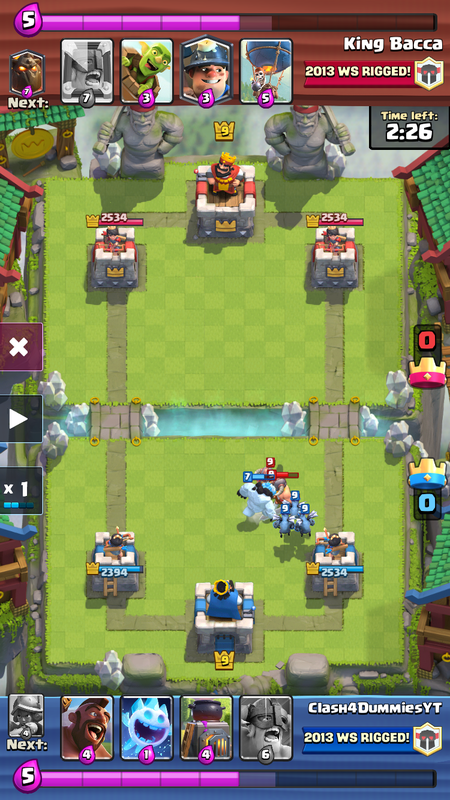 To counter this strategy, you need to zap the first barrel and play an ice golem to tank for the second barrel along with the miner. Solo elite barbs are actually pretty popular, even at around 4,000 trophies. While defending elite barbarians with your own EBs is effective, you can get a positive elixir trade if you play ice golem as a distraction with some minion to do the real damage. Lastly we have the new lavaloon push which is a total of 12 elixir. 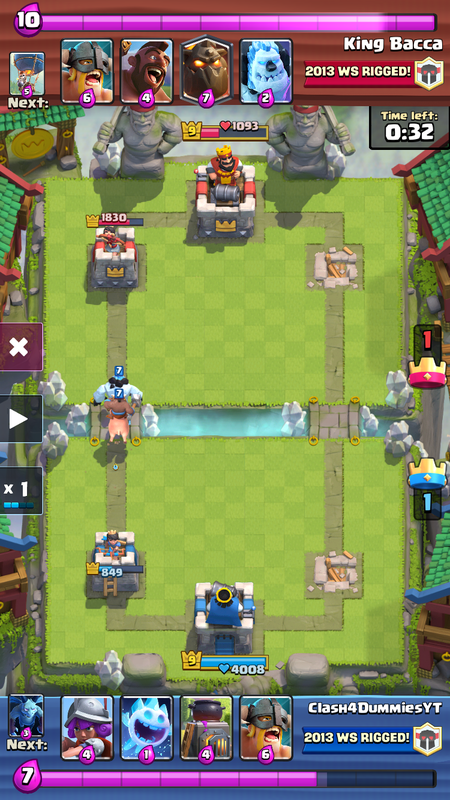 Being so much elixir to pull off this strategy, you can afford to counter with a ton of elixir as well. 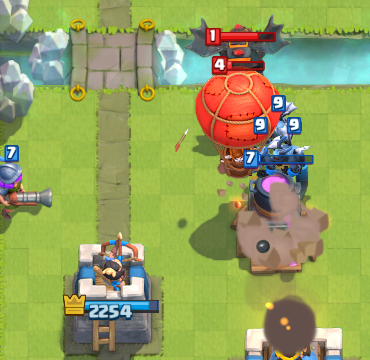 Musketeer and minions, along with a furnace to pull the loon and lava hound can easily defeat this. 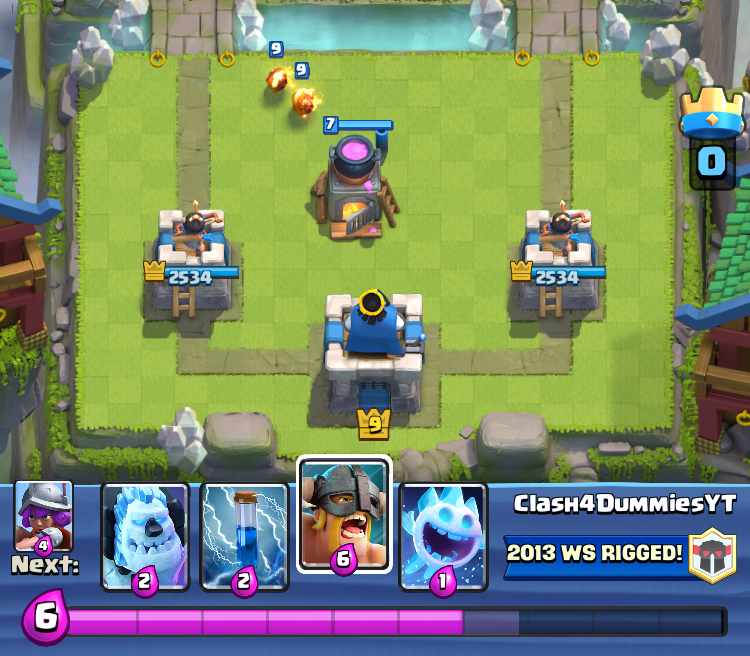 That just about sums up all the strategy behind this ice golem-hog-elite barbarians deck. Again, this will be a weekly series on C4D, so check back next week to see what the new meta deck is! Thanks for reading and come back soon for more Clash Royale content! Pingback: Most Meta Deck #1: Elite Barbs, Hog, Ice Golem Deck | Clash of Clans Guide, Strategies, Tricks and More!